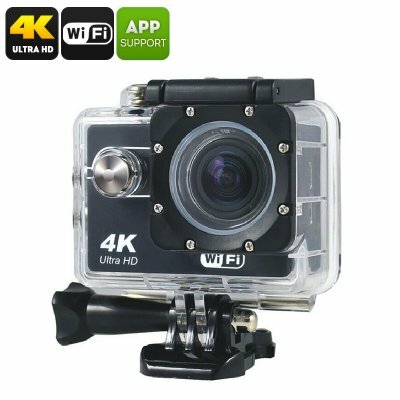 Successfully Added Q305 Sports Action Camera - CMOS 8MP, 4K, Wi-Fi, Smartphone App, Waterproof Case, Micro SD Card Slot, 900mAh Battery to your Shopping Cart. Capture life's memorable moments in 4K clarity with the Q305 sports action camera. A 140-degree lens and COMS sensor ensure nothing escapes the attention of this mini action cam. It can shoot 4K video at 30 fps and 1080P video at a blistering 60fps so you won't miss any movement when recording the fast-paced action. The Q305 sports action camera comes with 12 months warranty, brought to you by the leader in electronic devices as well as wholesale action cameras and video recording gadgets.